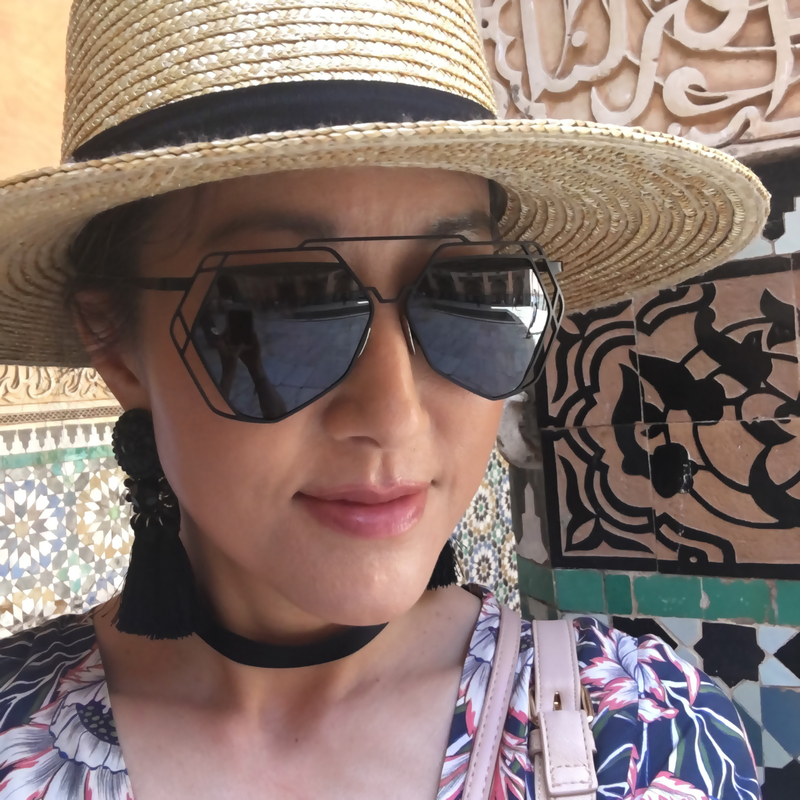 So amazed was I by the results of GrandeLash, it was one of the few full-sized products I took with me to Morocco. So it happened a few months back. I was double cleansing with an oil cleanser, one I hadn’t used for a while. I had applied a new liquid eyeliner that morning, testing it out for long-wear and smudge-proof-ness. It had fared well, but something about the consistency combined with the oil cleanser created a sticky blob on my eyelashes. I tried to gently nudge it off, but it wouldn’t budge. I tried to roll it off with my nail to no avail. Finally, I lightly pulled at it and voila, the blob came off — along with three of my longest lashes. Now, you have to understand: I can count my lashes. That’s how few I have. They’re not all bad: My lashes have a natural curl to them so I never use a lash curler. And they’re also semi-long, considering I’m Asian. But there’s also like 20 of them. So when I saw that I had pulled off three of them, I freaked out. There was a giant empty space where the three lashes once were. It was a bona fide bald spot. But this was an emergency. I have a bald spot on my lash line!!! I started using GrandeLash on my bald spot that very night and every night after that for at least three months. It’s not the prettiest packaging, but wow, does it work. I wasn’t expecting a miracle. I was hoping it’d help my lashes grow back faster. To that end, I only used GrandeLash on my right eye, where the bald spot was. Slowly but surely, my three lashes started growing back. They hadn’t reached full length or thickness yete, but there was less of a bald spot. Phew, I thought. Crisis averted. And then one day I noticed that I was having a hard time removing my black eyeliner from my right eye. It still looked dark along the lash line, even though the liner was gone from my left eye. I pressed the eye makeup remover on my lash line again. And again. Until I realized, the darkness on my lash line wasn’t due to stubborn eyeliner. It was my lashes! My lashes on my right eye, where I had been using the GrandeLash, had doubled in number and darkness. Doubled!!! I couldn’t believe it. I looked back and forth, back and forth. Yup. Doubled. Can you see it? My right eye, to the left of this photo, where I had applied GrandeLash for three months, as compared to my other eye, on the right, where I hadn’t used GrandeLash. I kept staring because I had never seen my lashes this thick and this lush and this dark before. They were longer too, which became patently obvious anytime I wore mascara. (They started to hit the lenses of my glasses, something I had a problem with when I got lash extensions some years back.) The difference is even more noticeable when I’m looking up (but the photo looked freaky when I did that, so I only have this poorly lit photo to show you). Needless to say, I immediately started using GrandeLash on both eyes. We’re about a month in and my left eye has yet to catch up to my newly lush right eye, but in the meantime, I get a kick out of looking in the mirror and comparing the difference — my lashes look so good! I’m really looking forward to the day when I can no longer count my eyelashes. I noticed that if I used an eye serum or cream with some sort of silicone (dimethicone, cyclopntasiloxane), it causes the lash serum to migrate into my eye, resulting in no small amount of stinging. I immediately swapped out my silicone-based eye serum. 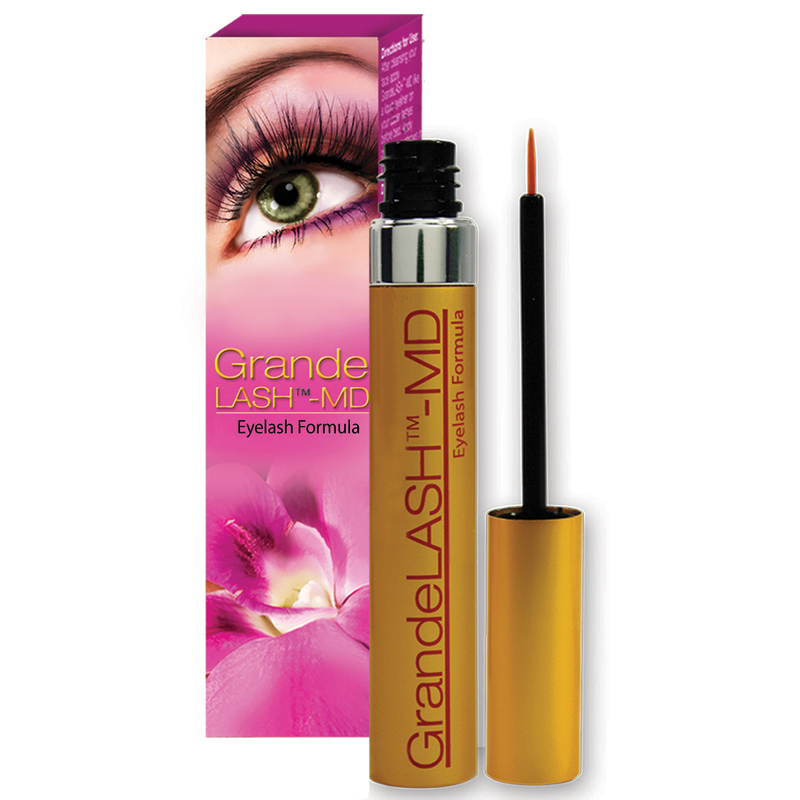 To prevent further stinging, I now apply the GrandeLash after my serum steps, wait about five minutes for the lash serum to absorb, and then apply eye cream. GrandeLash is not cheap — for a three month supply, it’s $64.95. (You can get it here.) But they’ve got a 90-day money back guarantee, and now that I know for a fact that it works, I just may have to stock up. Oh, and they have a brow version, too, which I’m going to start ASAP. Stay tuned! You’re so lucky to have good eyelashes. I’ll definitely be using the brow version. I have a bald spot on my brows too!